Just imagine: You wake up in a beautiful bed of a beautiful farm surrounded by a huge garden. Everything is made of wood and stone; you look out of the window and you remain enraptured by the mountains. You are in the farm Maso Caiano. After breakfast, take a bike (with the rental service in the farmhouse) and head to the nearby Comano Spa. One morning in a natural oasis is just what you need. The Spa Resort is set in a stunning and immense natural park where you can relax all morning. And then, ready for a hike in the mountains! 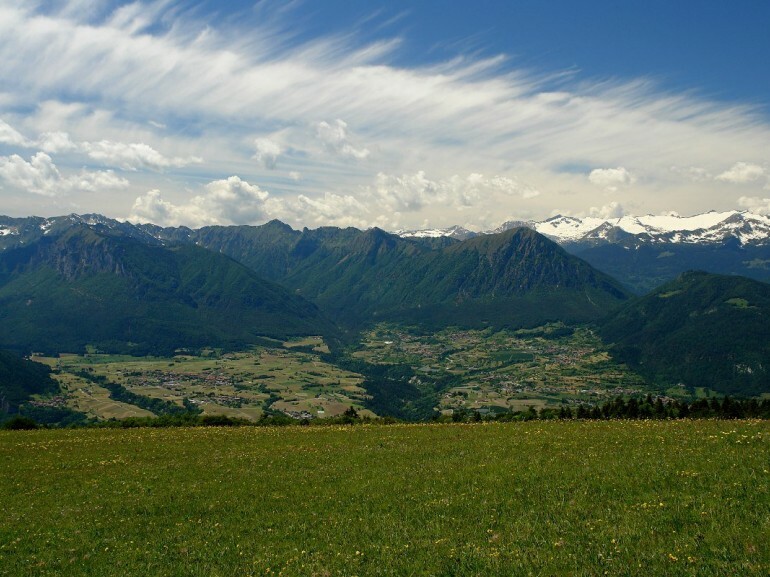 From the center of Comano, climb to the left of the church and continue along the paved road called the Panorama Route. At the first bend, we find the path SAT 411 that will take us to the top of Mount Casale. You walk along the slopes of the mountain, in the woods; now on the road, now on the path. We arrive at Paghera-Madonnina. Here a steep and challenging stretch begins, it will takes us in the meadows of the Le Quadre. Already at this point, the view is breathtaking: the meadows around us, the flowers and below us the valley and its villages. We Continue the climb through the meadows, we go beyond the hut Don Zio in Pisoni al Casale and after about 15 minutes we reach the summit of Mount Casale. And so you are at 1632 meters above sea level and in front of you there’s a spectacular 360 ° view. 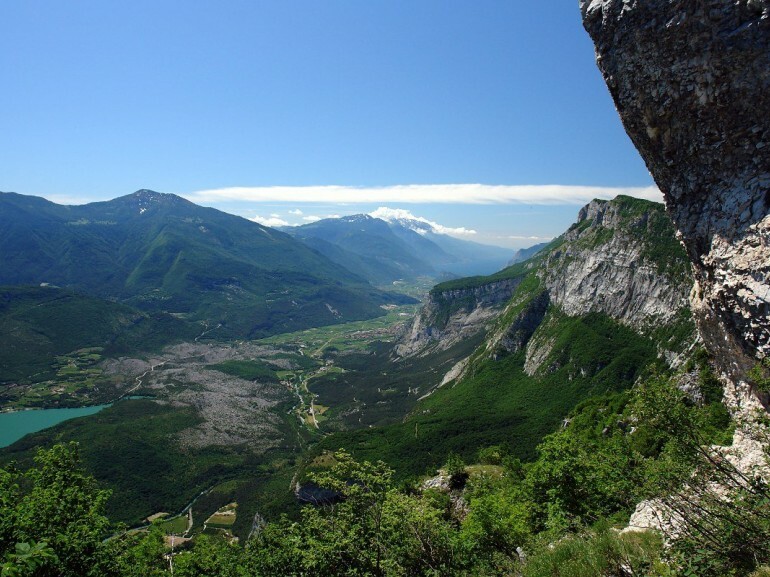 There's any mountain more scenic than this throughout the valley; you can admire different mountains of Trentino: the Dolomites of Fiemme and Fassa, Bondone, the Pasubio and the Small Dolomites, Baldo, the Ledro Alps and the Adamello , the Brenta and Paganella. 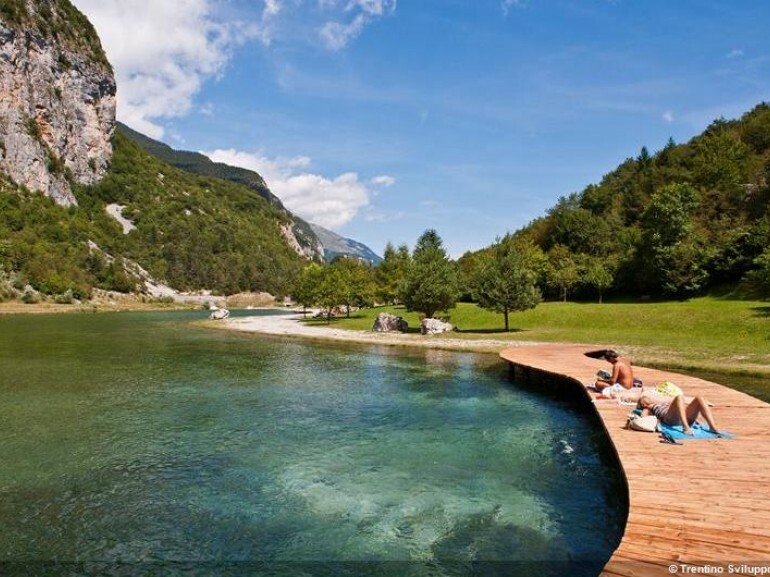 Under you: the Valle Giudicarie, Margone Ranzo, Lake Molveno, the Valley of the Lakes with Lake Toblino and Santa Massenza, the Valley of Cavedine with its lake and finally the Lake Garda. What do you say? Does it seem like an exciting and percfect holiday? Book for the next weekend!